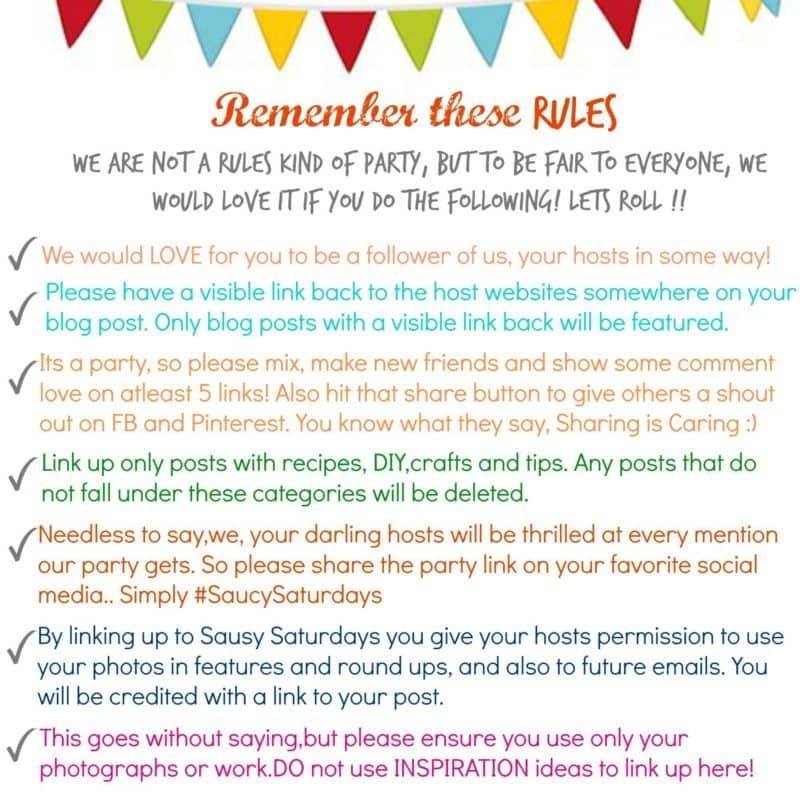 #SaucySaturdays is a link party for all food, craft, and DIY bloggers. Whether you’re here to link up a post or just do a little window shopping, kick off your shoes and make yourself at home. 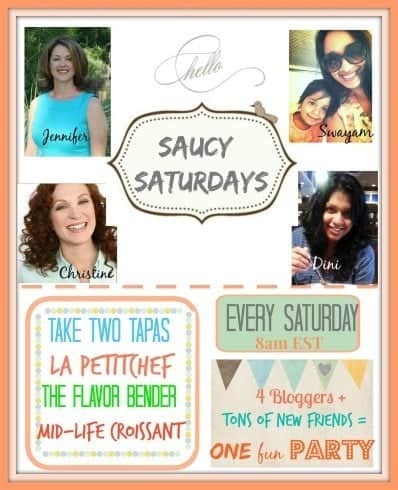 When Jen from Take Two Tapas emailed me to ask if I’d be interested in co-hosting #SaucySaturdays with three of my favorite bloggers (including Jen, obvs) I knew I had to say “yes” despite the fact that I was COMPLETELY UNprepared. All the things I needed to do to get ready were things I intended to do anyway. In the long run. I just put my big girl blogging pants on and shifted them to the short run. I learned a lot. Fast. And, now, all of a sudden we’re here! In case you don’t already know them….. These ladies are always serving it up with a side of sauce. We’ll pin all your links to our Saucy Saturdays Pinterest Board. We’d love it if you would follow our board too! Enough of the rules, on to the party! Show us what you made! 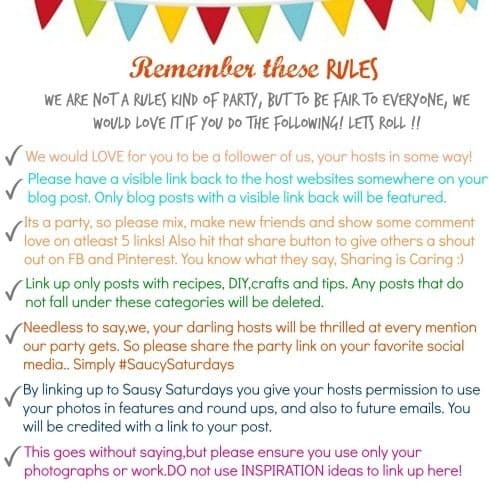 What a great party and group of blogging ladies!! Did you change your site lately… it looks AWESOME! I did! Thanks so much for noticing. I had to go self-hosted to co-host #SaucySaturdays and took the opportunity to redesign as well. Can you say learning curve? But I’m happy with it. Feels legit. Thanks again for participating!